Lesson Code: SER-801 (PREMIUM LESSON). 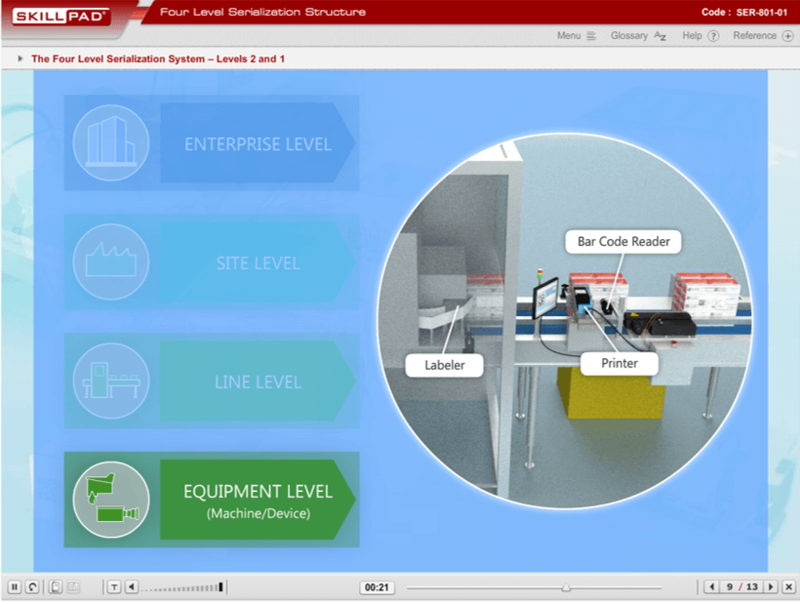 An overview of serialization architecture in the pharmaceutical industry. 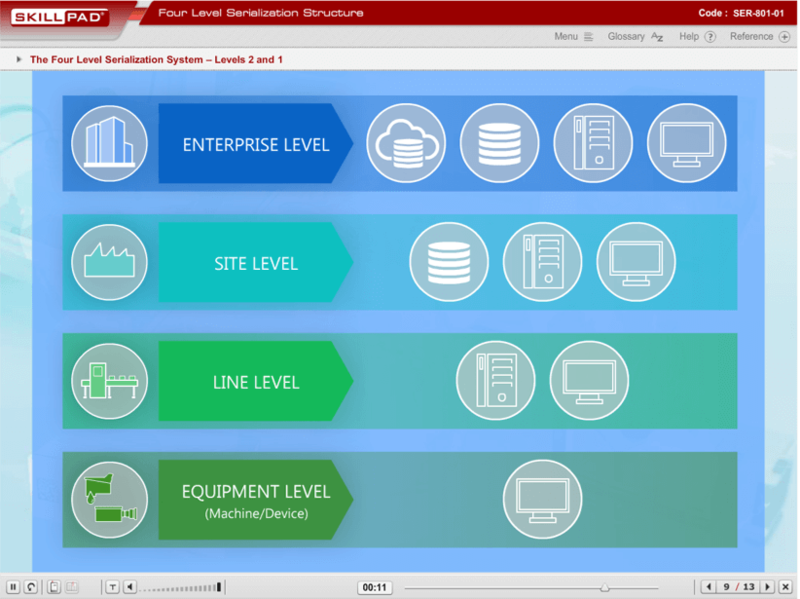 It describes the four levels of a serialization system and the IT functions associated with each. 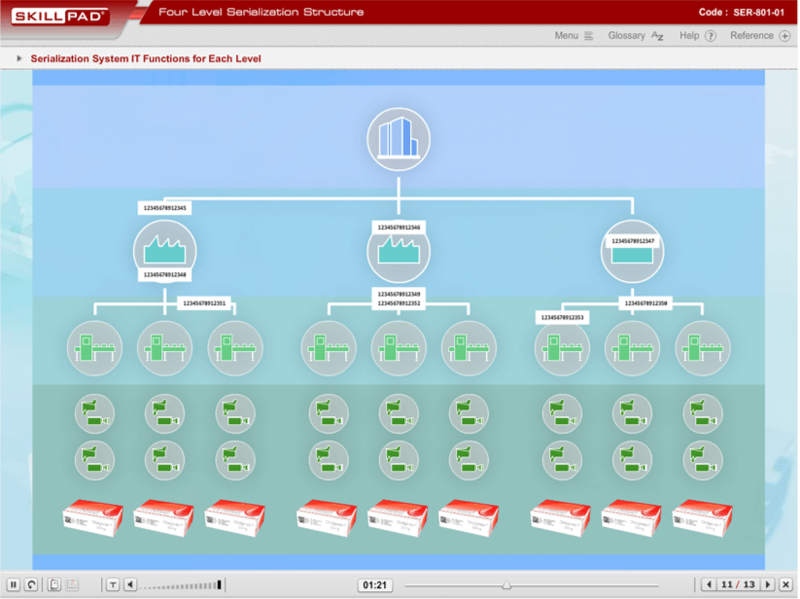 This lesson describes in detail the 4-level serialization corporate structure. It describes why the structure is set up the way it is and explains the relationship between Level 4 – Enterprise Level, Level 3 – Site Level, Level 2 – Line Level and Level 1 – Equipment level. 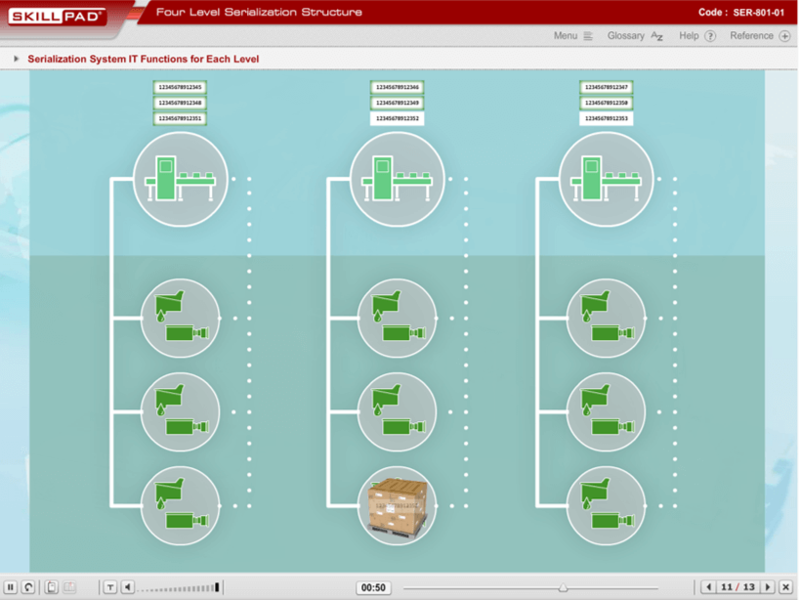 Each level is described separately. 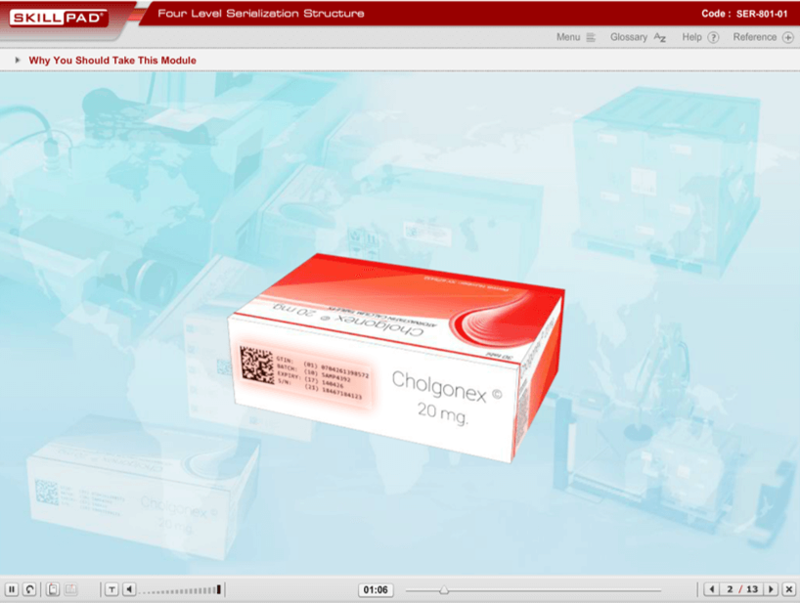 Interactions and knowledge checks allow the learner to integrate the functions of each level into an overall approach to serialization. The IT functions and activities associated with each level are also described. 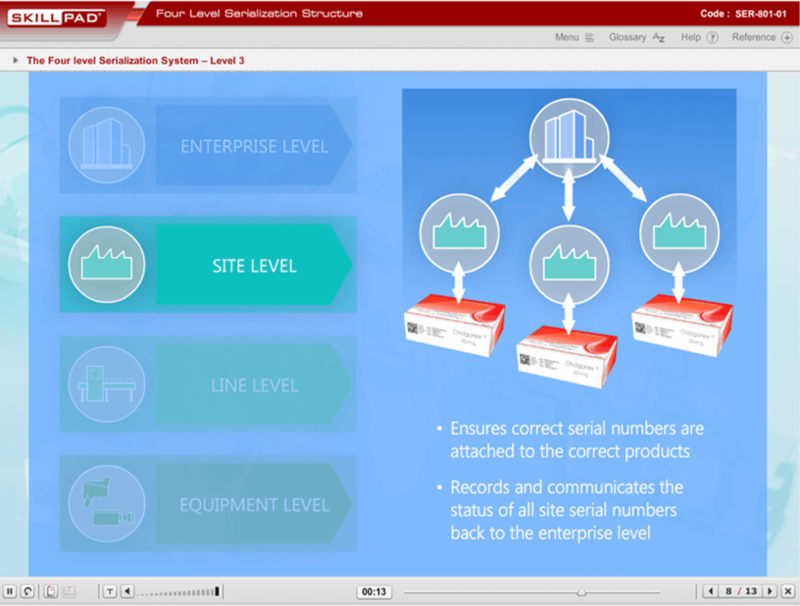 As key concepts that impact on all serialization activities are introduced in this lesson it is recommended that this lesson be taken first.